DJ legend, producer icon, avant-gardist, pioneer. 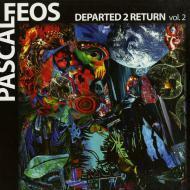 Only few influenced the music scene of the past 28 years as deeply as Pascal FEOS. He is responsible for 4 solo albums, over 200 releases and hundreds of remixes. Still his hunger for sound experiments is satisfied by no means.